A new nuclear reactor coming to Michigan? 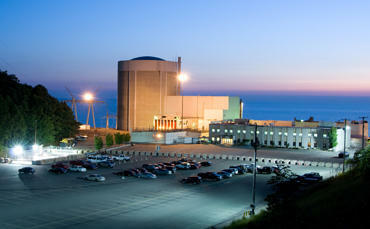 DTE's Enrico Fermi Nuclear Plant on the shores of Lake Erie. Call it Fermi 2 plus one. DTE Energy wants to build "Fermi 3," an Economic Simplified Boiling Water Reactor (ESBWR) at its Enrico Fermi Nuclear Plant on the shores of Lake Erie near Monroe, Michigan. The company's Fermi 2 nuclear power plant has been operating there since 1988. If Fermi 3 is built, it would bring the number of nuclear reactors operating in Michigan up to five (two reactors at the Donald C. Cook nuclear power plant, one at Palisades, and DTE's Fermi 2). The company has cleared a regulatory hurdle with the Nuclear Regulatory Commission, the federal agency that oversees nuclear power plants across the country. The NRC approved Fermi 3's environmental impact statement (EIS), finding there are no major environmental concerns that would keep the project from going forward. The EIS is a significant milestone for the project, and NRC staff have recommended final approval for the reactor's combined license. A notice of availability of the final EIS is expected to be published in the Federal Register on Jan. 18. The NRC in March 2011 gave GE Hitachi Nuclear Energy's ESBWR design a positive final safety evaluation report and final design approval. Full certification is expected to be completed this year. Robin Erb at the Detroit Free Press quotes the NRC. The reactor, known as Fermi 3, is the only one currently proposed in the Midwest. The report's conclusion clears a major hurdle, but the design of the reactor, as well as its safety, still must be reviewed, said NRC spokeswoman Viktoria Mitlyng. If it's built, it would be a feather in the cap of the nuclear power industry, which has struggled to get new reactors up and running. Of the current operating nuclear reactors, the last one to go online was the Tennessee Valley Authority's Watts Bar 1 reactor. In went online in 1996. Watts Bar 2 is expected to go online this year, according to the Energy Information Administration. Michigan Radio has been following the problems at the Palisades Nuclear Power Plant for the last several years. Our West Michigan reporter, Lindsey Smith, has been on top of all the leaks, shutdowns, public meetings and visits from the U.S. Nuclear Regulatory Commission. Last February, after five shutdowns in one year, the NRC downgraded Palisades' safety rating. It was rated as one of the four worst in the country. FRENCHTOWN TOWNSHIP, Mich. (AP) - DTE Energy Company says it has restarted its Fermi 2 nuclear power plant after an eight-week shutdown for repairs to a reactor water pump. The plant began running at reduced power in July and went off line November 7th when operators saw that water in part of the cooling system for the generator contained higher than normal amounts of hydrogen. The 1,100 megawatt reactor is next to Lake Erie in Monroe County's Frenchtown Township, near Monroe. DTE Energy's Fermi 2 nuclear power plant was shutdown yesterday morning after workers discovered excess hydrogen in a generator cooling system. DTE spokesman Guy Cerullo said Thursday that workers will be checking equipment to find the root of the problem. The company would not provide a timetable for the power plant to be back online. "Customers won't see any difference," Cerullo said. "We are always are able to get additional power from other plants." No one at the plant or in surrounding areas was in any danger, Cerullo said. 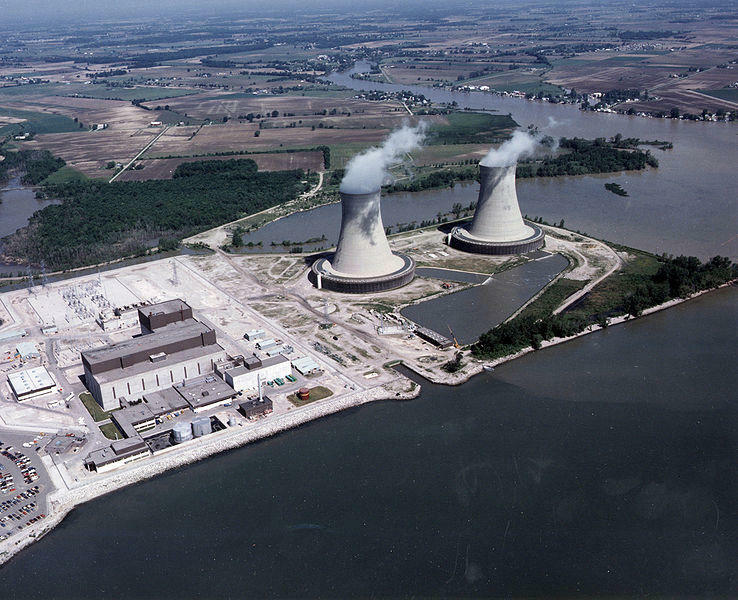 The Fermi 2 nuclear power plant is near Monroe, Michigan and it sits on Lake Erie. There are 38 nuclear power plants operating in the eight Great Lakes states. Four are in Michigan. Five nuclear power plants are operating in Ontario. DTE Energy plans to submit an application to the U.S. Nuclear Regulatory Commission that would allow the company to operate the Fermi 2 nuclear power plant through 2045. The utility’s license to operate Fermi 2 expires in 2025 and the application, if approved, would allow DTE Energy to operate it for an addition 20 years. Fermi 2 began commercial operation in 1988. The renewal is in addition to the utility’s request to the NRC for a new nuclear power facility located at the Fermi site. DTE filed that application in 2008, but the licenses has not been issued yet. The state agency charged with monitoring radiation at Michigan’s three nuclear reactors has so far not recorded any increased radiation coming from Japan. Japan’s troubled nuclear reactors might be a half a world away, but it wouldn’t be the first time a nuclear accident overseas had an effect on Michigan. 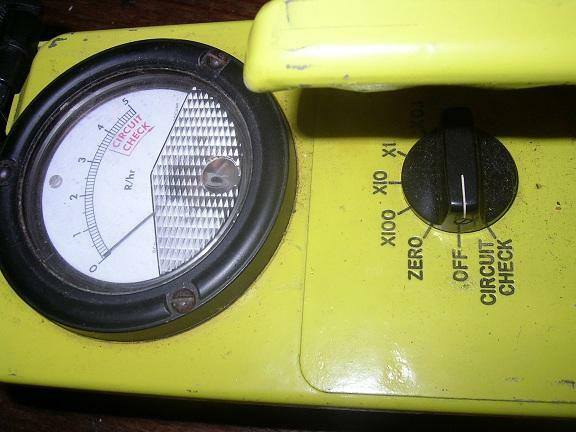 The state of Michigan has been monitoring radiation levels since January of 1958. Ken Yale is the acting chief of the Department of Environmental Quality’s Radiological Protection Section. His office monitors radiation levels at Michigan’s three nuclear plants (Fermi 2, DC Cook and Palisades). He says the last time his office recorded abnormal radiation readings was back in the mid-1980’s, at the time of the Chernobyl nuclear accident in the Ukraine. Experts do not expect a ‘Chernobyl’ level of radiation release from the Japanese reactors, due to improved containment technology.